Why OTR team driving? There are so many advantages of being part of an over the road team. They cover more ground, and because they can keep the truck and its cargo moving for longer, team drivers can earn more money than solo drivers. OTR trucking can be a very lucrative full-time truck driving career. OTR team drivers are also essential contributors to the national supply chain. In many ways, they form the backbone of the entire economy. By keeping their vehicles moving, team drivers can carry their cargo over long distances — essential for maintaining a supply chain that spans from coast to coast. If you ask any driver who does OTR team driving, they’ll likely tell you that it’s as much a lifestyle as it is a rewarding career. It involves being on the road for days at a time, which means being away from your home and your family as well. That’s why spouses who are both CDL holders often act as co-drivers. As a CDL driver, it’s up to you to decide if OTR team driving is the right career choice for you. OTR team drivers are focused and goal-oriented, and they’re some of the most respected and well-paid professionals in the logistics industry. OTR team driving also comes with many other advantages and benefits. 5. OTR Team Driving Careers at Lily Transportation Corp. Team driving is an exciting opportunity and a chance to make a positive shift in your driving career. OTR team drivers tend to be driven, adventurous professionals. While it does offer some challenges, the benefits of driving over-the-road are worth working towards. Simply put, logging more miles with two drivers means making more money. One of the most difficult parts of driving solo is being alone on the road. While some drivers enjoy the solitude, it’s natural for people to want company while they work and drive. When you drive as part of an OTR team, you’ll always have company. Having a co-driver is also helpful for planning your trips and solving problems. Your co-driver can help you navigate, give you help in tough situations, or just act as someone to share ideas. One of the most rewarding parts of driving over-the-road is the ability to travel to new places and see more of the country. For drivers who love the open road, there’s no better way to do so than coast to coast team driving. OTR team drivers not only get to visit new places, they also have an opportunity to explore more scenic drives. If you love to drive, then OTR team driving is a good career option. Driving long distances is both challenging and rewarding, for those who choose professional truck driving careers. Team drivers get a lot of driving experience, but they also get experience with planning, problem-solving, and working as part of a team. If you’ve been driving solo for years, a team driving assignment is a great way to grow professionally. If you have any experience in the logistics industry, you’ve likely met people along the way. Sometimes, a good way to find a co-driver for your OTR team is to ask the people you already know and trust. This could be your family, friends, co-workers, or other drivers you’ve met in your travels. Naturally, this is a limited pool of people, but it increases the possibility of finding someone you know and trust. Get matched by a logistics company. Lily Transportation Corp., can match you with a co-driver based on your needs and preferences. Working with a company eliminates the risks of putting out an anonymous ad and makes the entire process easier. With a company, you can also trust in reliable pay and support on the road. The success of your OTR team hinges on the success of your partnership with your co-driver. Good OTR teams are built on trust, professionalism, and a positive attitude. It should come as no surprise that many co-drivers are close friends. Spousal teams are also common, but many other successful teams are formed simply by two dedicated drivers who want to work hard and earn more. Before starting out, it’s important to understand who is responsible for what. It could be that one of you prefers to drive at night while the other prefers to drive during the day, or it could be that each driver is responsible for driving a specific number of miles. Some drivers prefer to drive in the countryside, while others don’t mind driving near cities. When it comes to driving, you must work within FMCSA rules to determine driving, sleeping, and stopping times for both drivers. Nonetheless, planning in advance makes the job much easier and reduces the chances of surises. You can also set responsibilities for loading and unloading cargo, if necessary. That way, there won’t be any confusion when you reach your destinations. Driving OTR as a team requires you to share space with your co-driver and sleep on the road. You must agree on how to organize storage space, such as how to store personal items, food items, and work-related items in the truck. You’ll need to come to a basic understanding about each other’s personal preferences, such as noise levels, control over the radio, and cabin temperature. It’s important to stay open to compromise when discussing your shared space so both drivers can reach an understanding they both agree with. Since you’ll be spending a lot of time together, it pays to keep a positive attitude with your co-driver when out on the road. Everyone has bad days, but being positive and supportive is often just what someone needs to turn their day around. When stressful situations arise, it helps to communicate and pool your wits to solve problems. For many team drivers, having company on the road is just what they need to stay positive and focused. As a professional enterprise, OTR team driving is built on respect, trust, and understanding. When both drivers are honest with each other and dedicated to the task at hand, it makes for a more pleasurable and fulfilling driving experience. If you and your co-driver can set boundaries, know your responsibilities, and communicate effectively, you’ll build a strong professional relationship and a successful OTR team. For any CDL driver, and for every logistics company, safety is the number one priority. Most truck drivers understand basic safety tips like wearing a seatbelt, signaling properly, and driving the speed limit. However, there are a few safety tips that are especially important when driving long distances. Getting sound sleep is perhaps the most important safety concern for OTR team drivers. It can also be one of the most challenging. Team drivers must sleep often while the truck is being driven by their co-driver, and sometimes during the day. To achieve a sound sleep, it’s important to set rules about noise levels with your co-driver. Other things that might inhibit sleep are light, movement, health issues, and caffeine consumption. If sleeping during the day, it helps to eliminate as much light as possible, whether with curtains or window covers. Discuss driving style with your co-driver beforehand to reduce the likelihood that you’ll be woken up by truck movements. If you have health issues that may affect your sleep, such as sleep apnea, it’s important to take steps beforehand to ensure you can sleep soundly on the road. If possible, avoid consuming too much caffeine when you’re getting close to the end of your driving shift. This will help you fall asleep faster when the time comes. There are other steps you can take to get better sleep, such as bringing a comfortable mattress, using a noise machine, and avoiding smartphone use when it’s close to bedtime. While staying focused is often directly related to sleep, it’s also a practice that you can improve over time. Staying focused on the road is all about removing distractions. Common driving distractions include smartphones, food, and conversation. When driving, it’s important to avoid using your smartphone. The screen can distract your eyes from the road, leading to danger. Nonetheless, some drivers rely on their phones for communication or even navigation. Before driving OTR, set your phone to operate in hands-free mode if you intend to use it on the job. It can sometimes be tempting to eat or snack while driving, especially when you’re trying to keep the truck moving, but it’s much safer to only eat when the truck is stopped or when you aren’t driving. When it comes to conversation, there’s nothing inherently wrong with chatting on the road. But if your co-driver is distracting you from the task at hand, don’t hesitate to let them know that you need to focus. As part of your planning process, you should always check the weather. Even if it’s bright and sunny where you are, the weather can change almost instantly when you’re driving OTR. Knowing the weather beforehand will help you avoid weather hazards, select alternate routes, or give you the chance to mentally prepare to drive in more difficult conditions. Planning your drives with your co-driver is an ideal way to split up responsibilities and maintain a steady, reliable course. It’s also the best way to ensure that you earn as much as possible in your OTR position. Try to plan your drive based on dispatch instructions, hours of service regulations, stops, fuel, weather, location, road conditions, and even the preferences of you and your co-driver. Part of leading a successful career in any part of the trucking industry is keeping yourself healthy, including eating right and getting exercise. Not only does staying healthy make driving more enjoyable, it can help you get better rest so you can maintain enough energy to stay focused on the road. Sometimes eating healthy is a simple matter of substituting healthy food for unhealthy food. But you and your co-driver can establish a plan for meals to ensure you eat healthily and even set up an exercise regimen at stops to keep your energy up. Even just going for a walk is helpful for staying healthy on the road. OTR Team Driving Careers at Lily Transportation Corp. 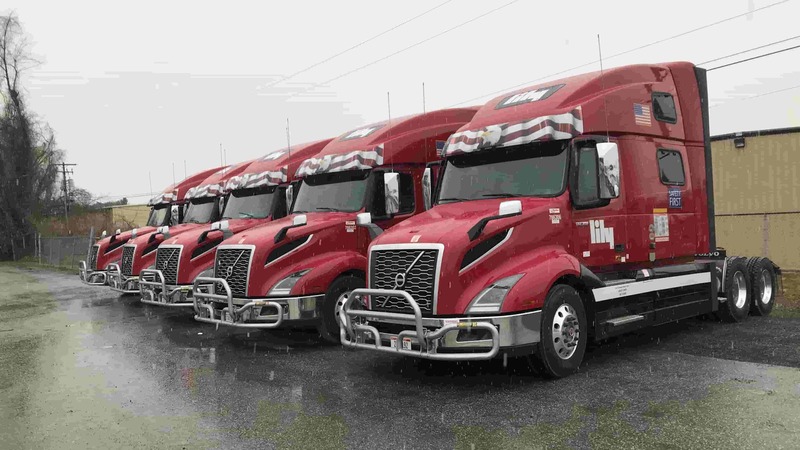 If you’re interested in an OTR team driving career, you don’t have to look any further than Lily Transportation Corp. Join our family of drivers to get matched with co-driver and receive competitive pay, great benefits, and dedicated runs. Our OTR team drivers even get customizable home time. If you’re a veteran, find out more about our one-of-a-kind program for veteran drivers that won’t deplete your GI benefits. Visit our careers page to talk with a recruiter, view our open positions, or apply directly online! If you’d like more information about OTR team driving at Lily, just download our free guide below. Lily operates with more than 800 DEDICATED drivers reporting to on site managers meeting daily with our clients located in 17 states. Lily is COMMITTED to providing highly efficient transportation services to our client portfolio. Lily’s success is based on a platform for continuous reevaluation in which key PERFORMANCE indicators (KPI) are tracked and improvements are made to continuously reduce cost per unit delivered and deliver on time, every time.